THERE are still tickets available for Friday night's Fremantle-Hawthorn clash at Domain Stadium, but fans without seats for Perth's other preliminary final between West Coast and North Melbourne will have to watch it on television. On Thursday evening east coast time, a total of 1619 tickets remained for the Dockers-Hawks match after a final release of seats. 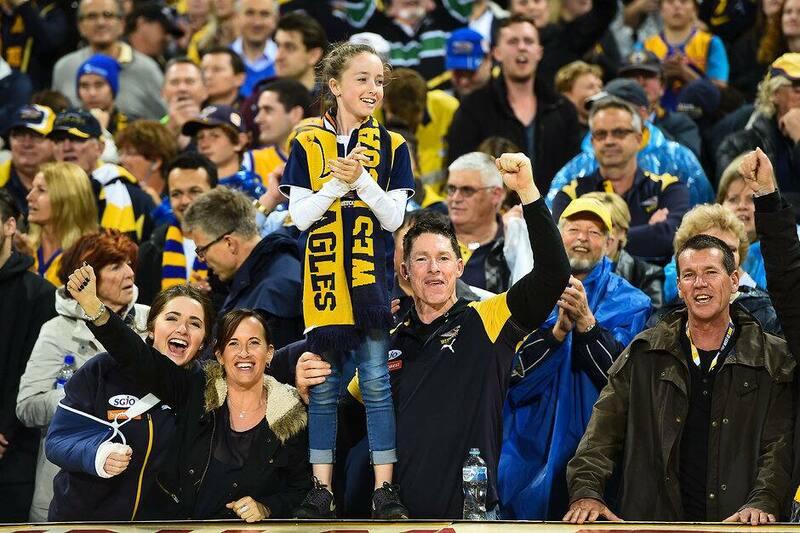 But the AFL said there was none left at this stage for the Eagles-Kangaroos prelim, which will be played on Saturday night in the second stage of the Perth double-header. The Hawks touched down in Perth over two days this week with Luke Hodge, Jordan Lewis, Isaac Smith, Jarryd Roughead, Shaun Burgoyne and Jonathon Ceglar travelling on Wednesday and the rest on Thursday. It wasn't a smooth passage for the early party, after their Wednesday flight was delayed six hours. The Kangaroos will train in Melbourne on Friday morning and make the trip west in the afternoon.